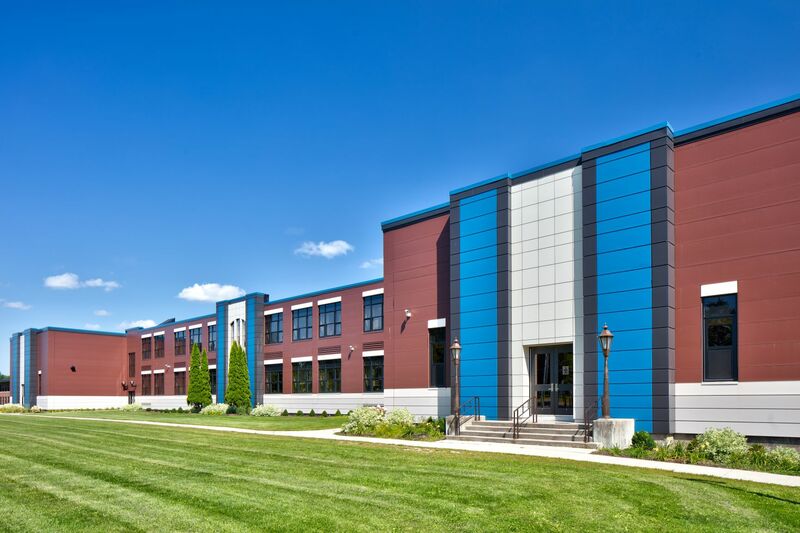 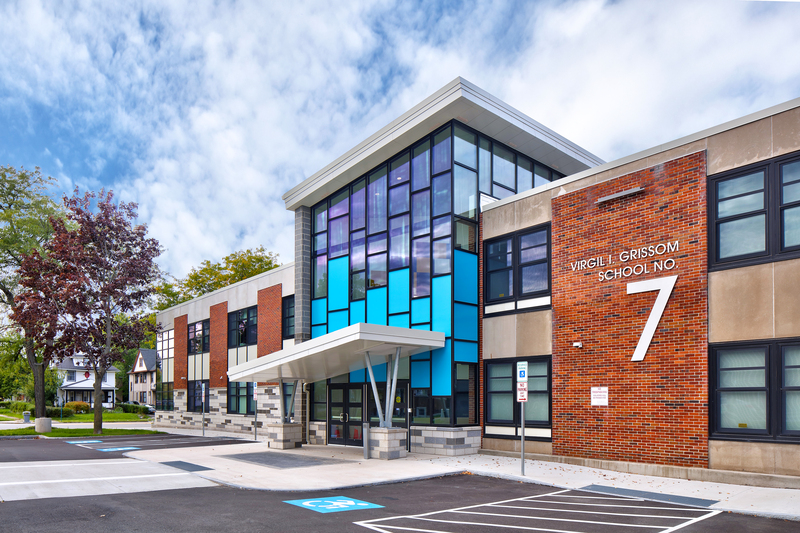 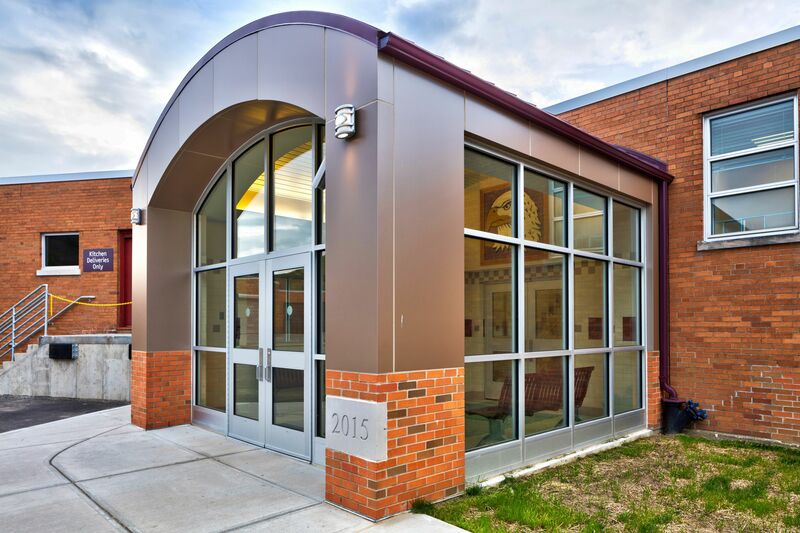 "Innovations that Respect a Classic Environment"
SEI completed Ellicottville Central School District‘s $9.8 million capital improvement project, approved by district voters in March 2013. 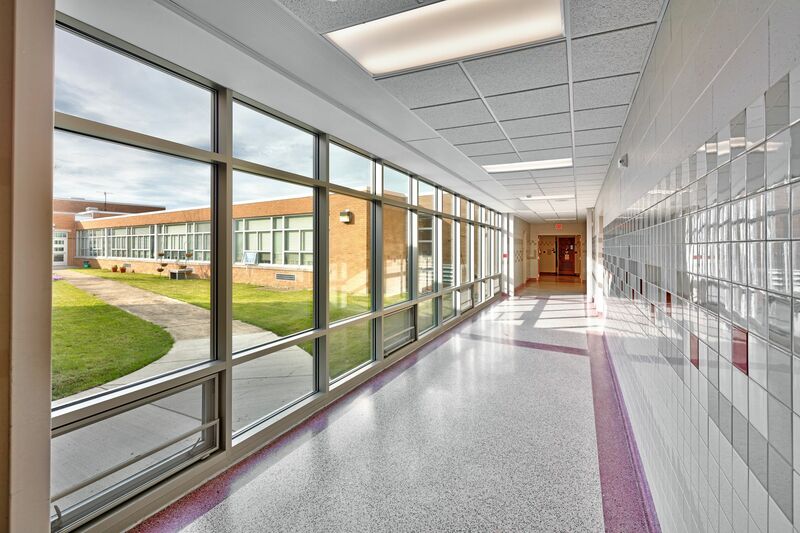 The school was constructed in several phases starting in 1960. 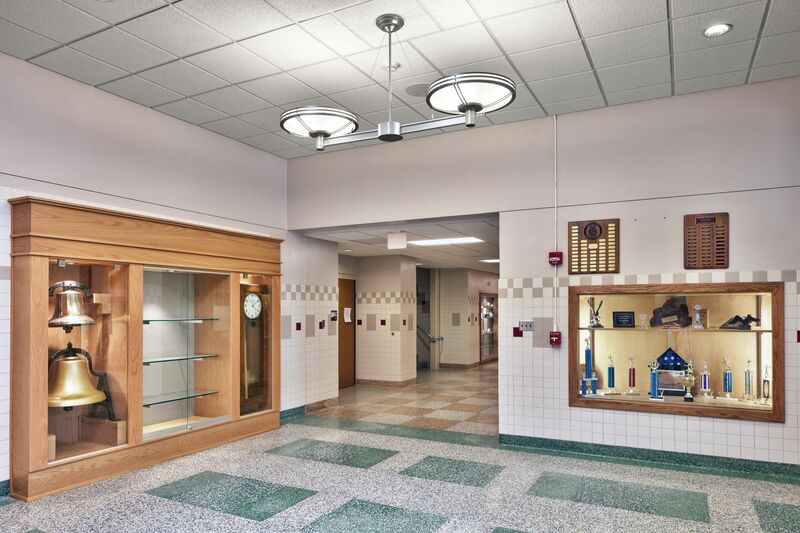 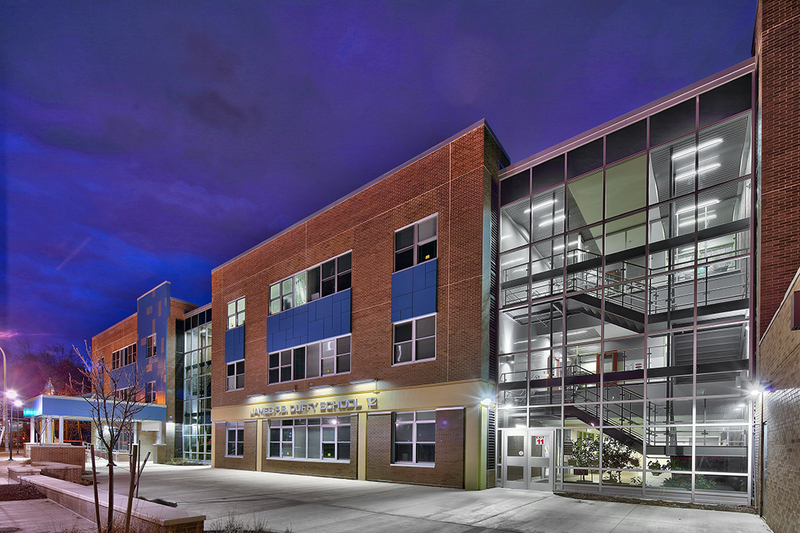 Issues facing the building prior to this project included an undersized gym, music rooms and locker rooms, small stage within the cafeteria, and a major entrance with no vestibule. 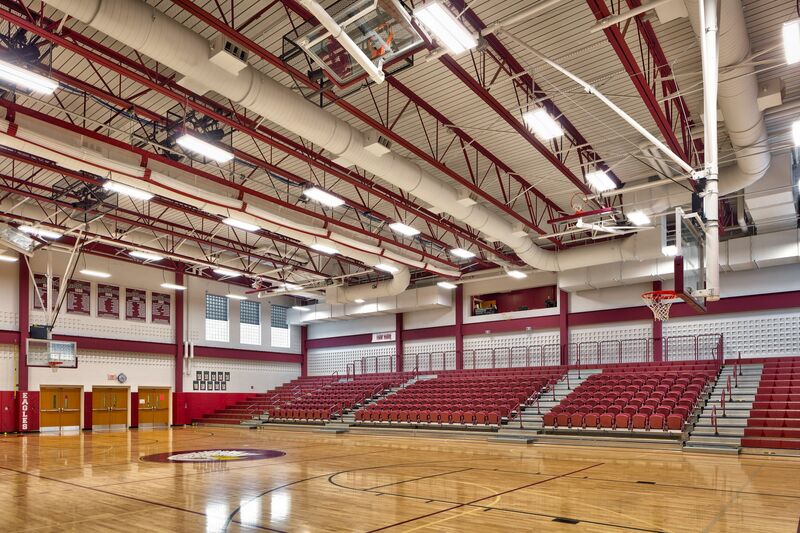 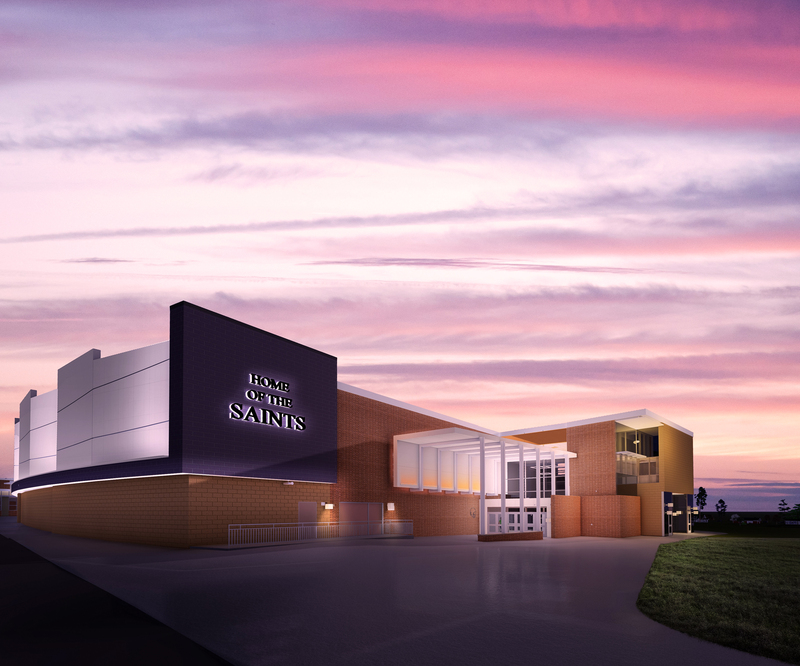 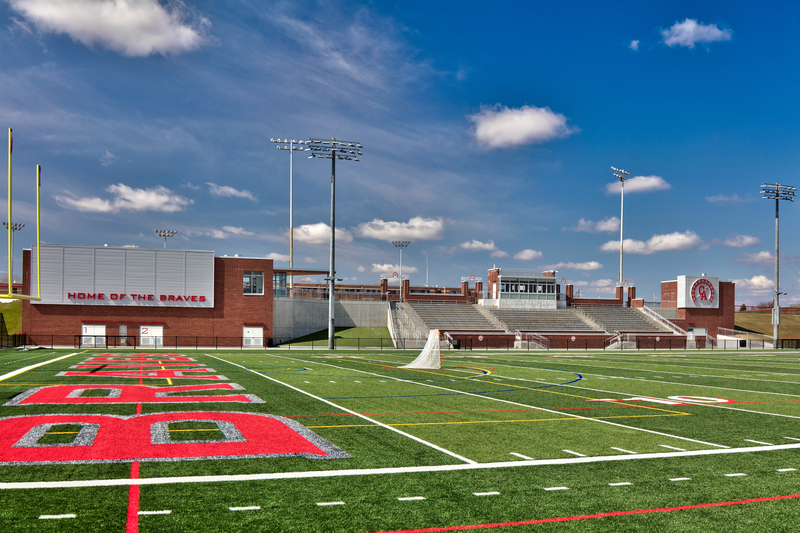 The final design addressed all of these issues and provided new choral, band, and fitness rooms and created two new multi-function spaces (new gymnasium and performance stage). 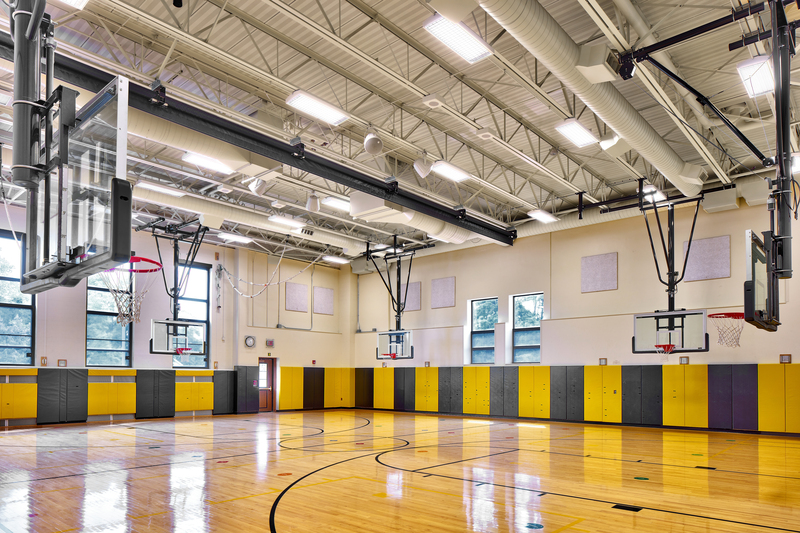 Flexible space design was the key criteria for a successful project. 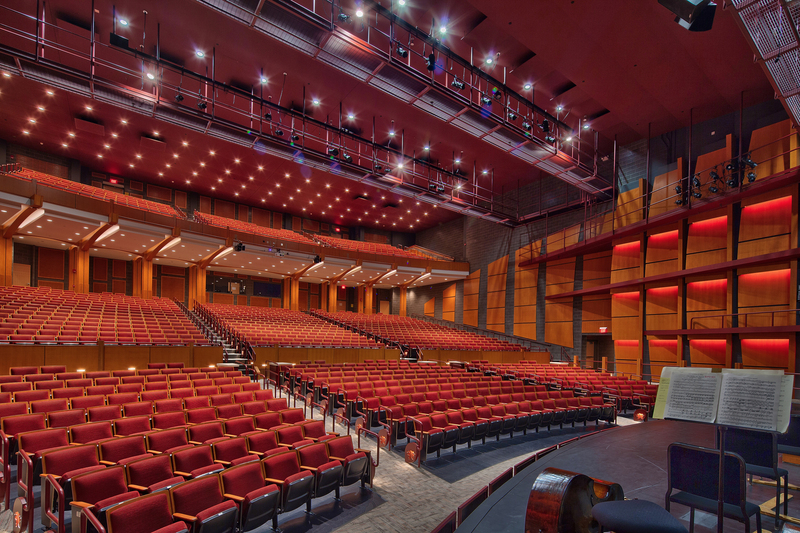 The stage is actually a performance space, L.G.I. 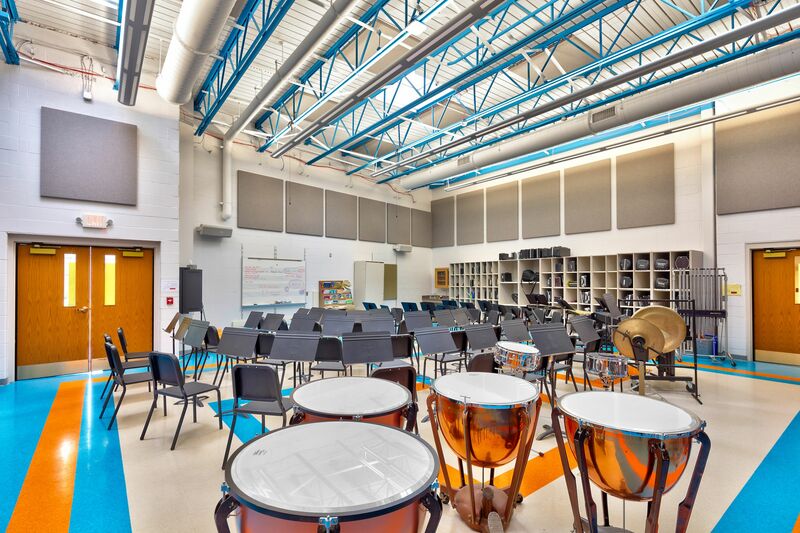 room, classroom, and practice space. 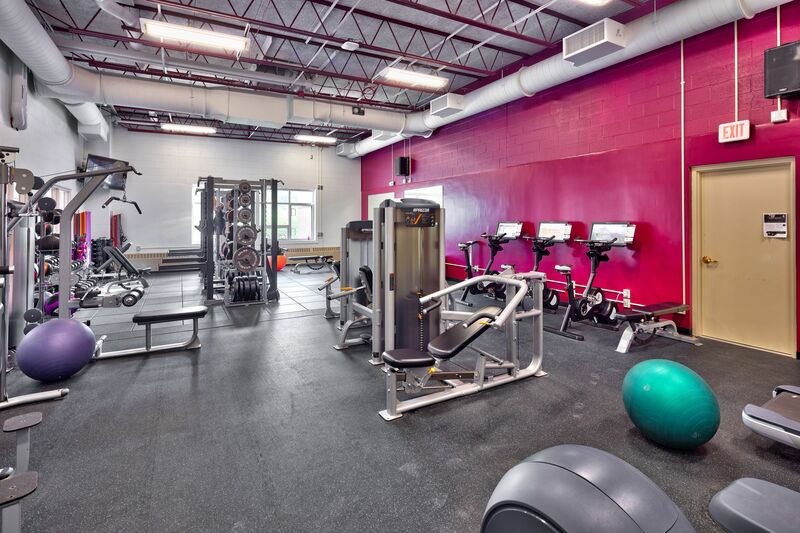 The gym can function as an auditorium, gym station and competition gym. 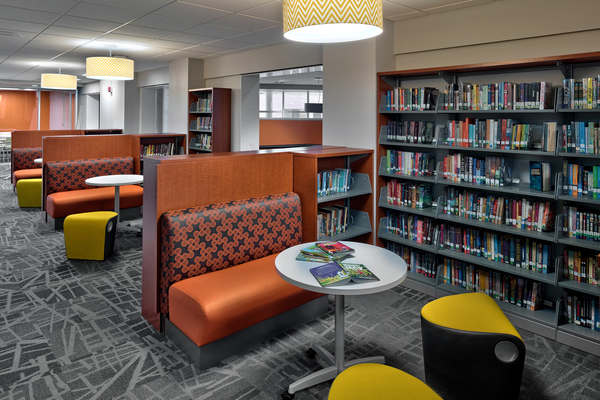 The flexible nature of these spaces allows for the two rooms to work together or separately. 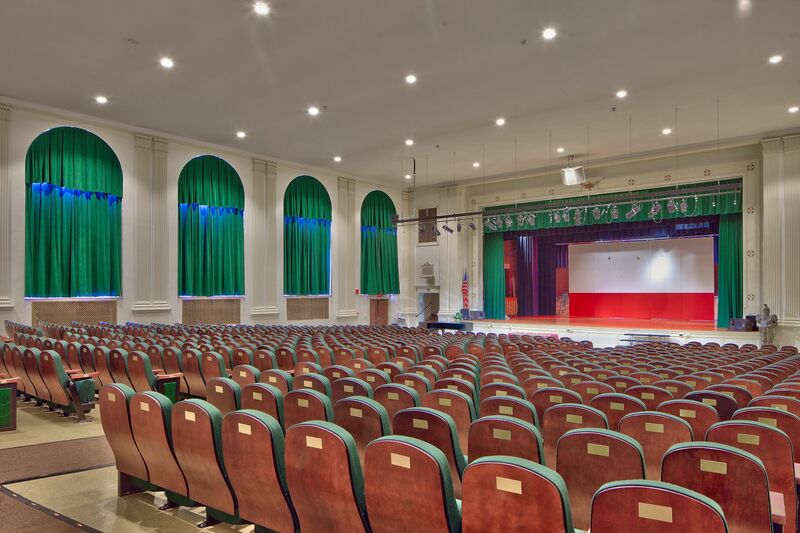 The stage includes a front curtain and an acoustically enhanced folding partition for separation. 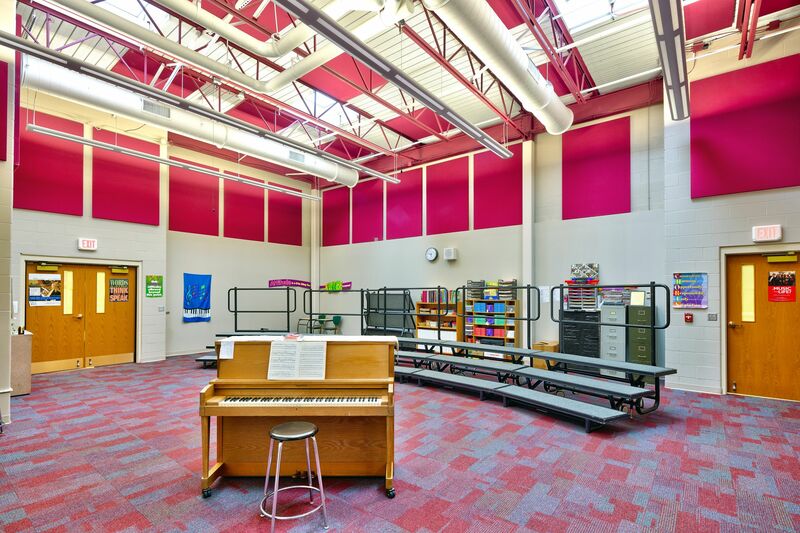 The multi-use stage has acoustic panels, sound system, theatrical lighting, and full curtain set. 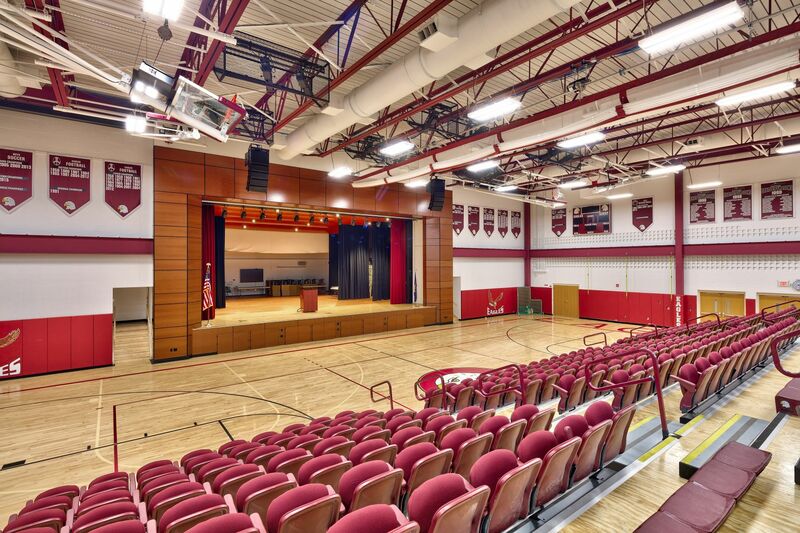 The upholstered bleachers can be moved forward onto the gym court, improving audience viewing of the stage.